You can’t assume that you know what an individual believes until they tell you, but it will likely be some variation of the common LDS worldview. In another video we’ll talk about LDS beliefs in general, but here we’re focusing on the topic of salvation. The Human Condition Is One with Potential. Mormonism sees human beings as literal children of our Heavenly Father. God is an exalted man, and we are of the same species as him. We lived with God as spirit beings in the “pre-existence” before we came to this earth. Every person born into this world has the potential to become like our Father in heaven – that is, to become gods. Because of Eve’s sin, we are subject to physical death. All of us, in fact, sin against God’s commandments, but Mormonism does not see human beings as intrinsically sinful by nature. Our greatest need is to prove ourselves worthy in this life so we can be reunited to God once again. The Ultimate Goal Is to Reach the Celestial Kingdom. To be reunited with God means to attain the highest stage of heaven. Mormonism teaches that everyone will be resurrected to some degree of glory in one of three levels of heaven. But the goal of this life is to do what it required to attain the highest heaven – the Celestial Kingdom – where our potential to become gods can be fully realized. Those who are worthy of the Celestial Kingdom will be united with their families to be exalted to the powers of deity together. The Way to God Is Through Obedience. To reach exaltation, a person must live in obedience to all of God’s laws and ordinances. The basic requirements include faith, repentance, baptism, and receiving the Holy Ghost. Beyond that foundation, a person must make a life-long commitment to following all the commandments, including chastity, service, tithing, church attendance, honesty, Sabbath-keeping, abstaining from certain foods, and much more. Certain rituals, performed in LDS temples, are also required for exaltation. This includes being sealed in marriage for time and eternity. Mormonism teaches that the highest level of salvation is a blend of grace plus good works. Jesus’ atonement made it possible for us to return to God’s presence, but only if we do our part to prove faithful and worthy. There Are Heart Defaults in Mormonism. Because of this LDS worldview, certain tendencies often show up in transitioning Mormons. These are default ways of thinking that your friend may not even be aware of. Perfectionism. Mormonism is a very demanding religion. 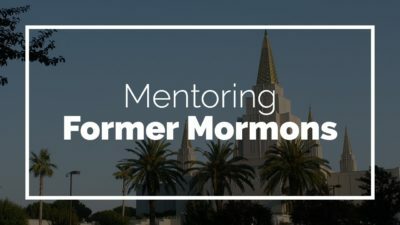 Former Mormons who have spent a lifetime trying to life up to the high expectations of their church’s requirements may find it hard to stop measuring themselves or being self-critical. Inadequacy, anxiety, guilt. Legalism. Legalism measures our relationship with God by what we do, with a focus on outward performance that often glosses over heart and attitude issues. Legalism also measures the righteousness of others by outward actions alone. Transactional thinking, It often feels like everything is a transaction between a person and God. If you do X, you get Y. You know exactly what is expected of you to be in good standing, and you know exactly what is expected of God. Each of these tendencies makes it difficult for former Mormons to grasp and experience God’s grace. One positive tendency found in many former Mormons is a desire for more of Jesus. Many people comment on how Jesus is not emphasized in LDS life. They often seek to learn more about traditional Christianity because they recognize the place Jesus deserves, and want more of Jesus rather than “church”. There Are Confusing Elements in Salvation for Former Mormons. When it comes to understanding salvation, you will want to be aware of a few issues come up repeatedly that are confusing for former Mormons. The fall. Mormonism teaches that Eve’s transgression in the Garden of Eden was necessary for humanity to multiply and fill the earth. The Bible presents Eve’s choice as a catastrophe that plunged humanity into darkness. Grace. Mormons are taught that grace is an enabling power that helps people be obedient to God. The Bible presents grace as the gift of God’s unconditional favor. The cross. Mormons don’t wear or display crosses. They also teach that Jesus accomplished the atonement in the Garden of Gethsemane along with the cross. The Bible teaches that the cross is the unique and indispensable focus of the atonement. We rejoice in the cross because there Jesus accomplished our salvation. Faith and works. Mormonism teaches the necessity of good works to be worthy of the highest salvation. Faith is mainly belief: an acknowledgement of the facts. Most Mormons believe that the idea of salvation by faith alone leads to a sinful life. In the Bible, faith is trust or reliance on Jesus alone rather than ourselves, our church, or anything else. Good works are an important expression of true faith. But they are the result of our salvation, not in any way it’s cause. The fate of the lost. Mormonism teaches that people will have a second chance for salvation after this life is over. In their temples, they perform ordinances – like baptism and temple marriage – on behalf of people who have died. Those people can then accept those ordinances in the spirit world. The Bible teaches that this life is the appointed time to get right with God, and that judgment follows. Eternal families. Mormonism emphasizes the family as the basic unit of exaltation. Families, they say, can last forever. The Bible presents marriage and family life as a temporary institution, for this life only. Our relationship with Jesus in God’s family supersedes our human families. Which LDS beliefs do you find most confusing? Have you ever read about Mormon beliefs directly from Mormon sources? What would be some pros and cons of doing that? In your mind, what are the most important differences between LDS beliefs and biblical beliefs about how to be right with God? When you first encountered Christianity, what beliefs seemed confusing or foreign to you? How long did it take to fully adopt your new belief system? 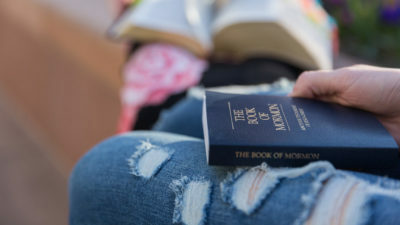 Have you encountered the terminology differences between Mormonism and biblical Christianity? Explain. What do you think might be some of the biblical doctrines that former Mormons might have the most trouble embracing, and why?